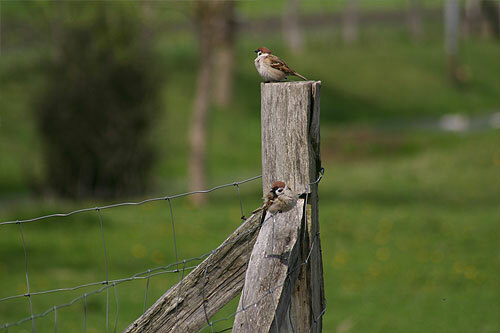 We watch a big flock of tree sparrows at the nest boxes Beate and Eberhard have put up in their orchard. It’s so lovely to see them. In the hedge there’s a lesser whitethroat calls, a reminder of the Somerset Levels where they do well in the dense hedgerows. We pick up the big static incubator, which is the size of a small freezer, and four of us gently lift it into the back of the truck, laying it on an old blanket. Roland drives with Lutz, and I get into the back to keep the incubator wedged so it doesn’t slip around as we drive. We follow Beate and Eberhard back along forest tracks to the mill. Here we meet Peter, one of the other biosphere crane team. He’ll take us out on Wednesday to some of his crane nesting sites. We manoeuvre the big incubator into the IR and set it up in the corner away from the window. Roland plugs it in and within half an hour it’s up and running. It should hold all the eggs we collect and looks state of the art, turning eggs every hour or so like the parent cranes will do in the wild. He’s keen to run it for 24 hours so we can monitor temperature and humidity. The eggs need to be kept warm at about 37.5 degrees Celsius (similar to the temperature of the mother’s brood patch). They also need to be kept humid so they don’t dry out and the growing chick will also need good levels of oxygen. Roland’s final touches in the incubator room complete, we go for a walk from the mill, listening for evening bird activity. A sudden burst of ‘wheet du-du,wheet du-du, wheet du-du’ comes from a couple of waders circling over the carp ponds: displaying green sandpipers providing yet another hint of Scandinavia. Before long it’s dark and we’re ready for the evening meal. Roland is a good cook, so I agree to do all the washing up if he prepares the food. He sets about preparing Neapolitan pasta with black olives and the fatty bacon we bought at the Angermunde butchers. The meal is delicious and sets us up well for a long evening’s wait for Nigel. Outside, a chorus of tree frogs starts up, much to our delight. A text message arrives at 10pm – Nigel’s 200km west of Berlin and has decided to drive on to Angermunde. Was it the news about the big incubator that did it or the lure of Roland’s excellent pasta? We get a call again at 12.30am. Nigel is parked near Angermunde train station sounding very tired and a little lonely! Can we come into Angermunde and take him to the mill? We set out with the local map, navigating the various forks in the forest track up to Altkunkendorf, carefully following the ‘umleitung’ diversion through western Angermunde to the train station. Its 1am in the dark and we’re all relieved to see each other as we head back slowly to the mill. Much talk about the journey, a good look over the incubator room, then it’s to bed at 3am. reflections on the successful German visit. You can read all of Richards Diary here. Richard Archer is RSPB’s Conservation Officer for Somerset, and took his sabbatical in the of Spring 2010 to help with the collection, incubation and transport of the first year’s eggs.